This year Bishop Patrick has also asked us to reflect on “Discipleship” during Lent, further developing our relationship with Jesus that we have already experienced during Advent when we “Encountered” Christ Jesus. A disciple is someone who wishes to be used by Christ as a way in which his love, care, compassion, healing and forgiveness can be shared with others. Suring this service and throughout Lent think about how you can be a disciple of Christ Jesus. Our Year 6 Chaplaincy team planned and delivered a thoughtful and prayerful litrugy for Ash Wednesday. They reminded us of the three pillars of Lent and what we can do to remember that we are making a journey alongside our famiies around the world living in poverty. They distributed the ashes to the children in the school, showing we are ready to make a change to our lives. We started the year with a lovely Mass celebrated with Father Martin. Unfortunately, it was Father Martin's last Mass with us, as he soon moves to another Parish. We thank him for the continuous support, that he's provided us within the last nine years and wish him the very best as he moves on to his new Parish. Good luck Father Martin! We are extremely proud of our children that have been involved in planning and preparing our Advent Liturgies. 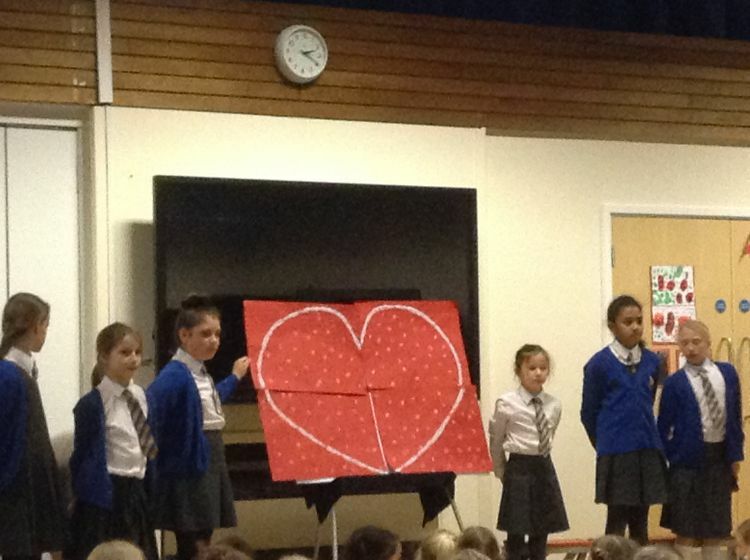 Today we finished with our final 'Love' Liturgy, which was extremely prayerful and lead by our Year 6 Chaplaincy Team. Thank you to all parents and carers that came to join our celebration today. Regular liturgies take place within school, including class liturgies, whole school Acts of Worship and the celebration of Holy Mass. We would love you to join your child and their class at their Class Liturgy. Once every 6 weeks (or so), a small group of children will be recognised for their super class work/kind behaviour/excellent contribution etc to class and school life. All Liturgies (except where stated) will begin at 2.40pm and finish by 3.10pm.